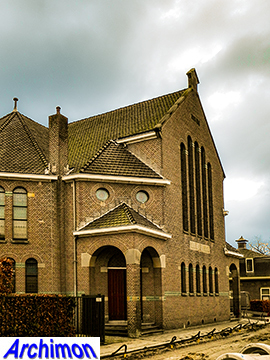 The Dutch Reformed Church has always been divided in liberal and orthodox wings, and everything in between. 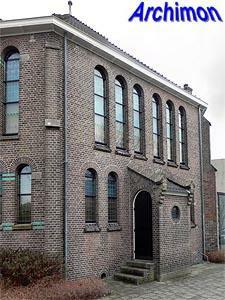 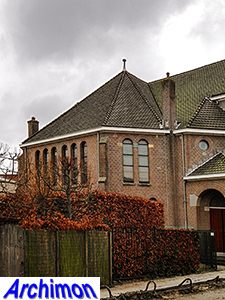 In Assen conservatives, out of dissent of the 'liberal' preaching in the Grote Kerk, had been organizing seperate services in a building of their own since 1877. 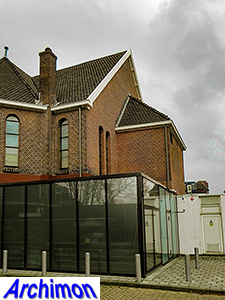 When the building became too small, it was decided to build a new church, although it was called a chapel, in the garden of one of the members. 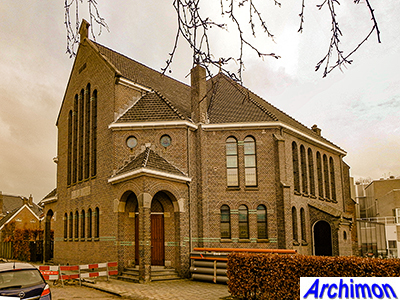 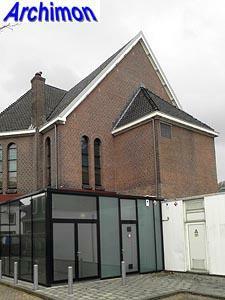 The architect who was commissioned was H. Enklaar, who had worked in Assen before but was not a church architect. 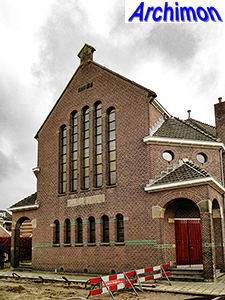 He designed an octagonal centralizing church in the Rationalist style that was much more common for churches of the Gereformeerde Kerk and shows similarities to churches by Tj. 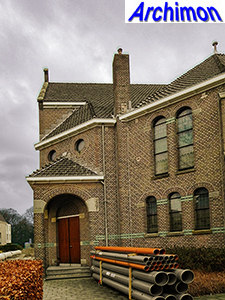 Kuipers and A. Nauta. 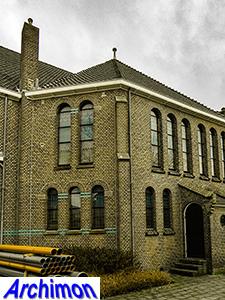 The building served as a church until 1967. 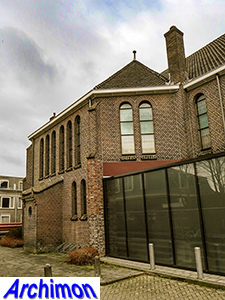 It is nowadays a theatre.